Comments: Champion Senior Dorper Ram, Grand Champion Dorper Rams and Supreme exhibit 2016 Australian National Show. Sold to Dean Powrie "Sunnyside Dorper Stud" QLD for $25000 at 2016 Dubbo Australian National Sale. 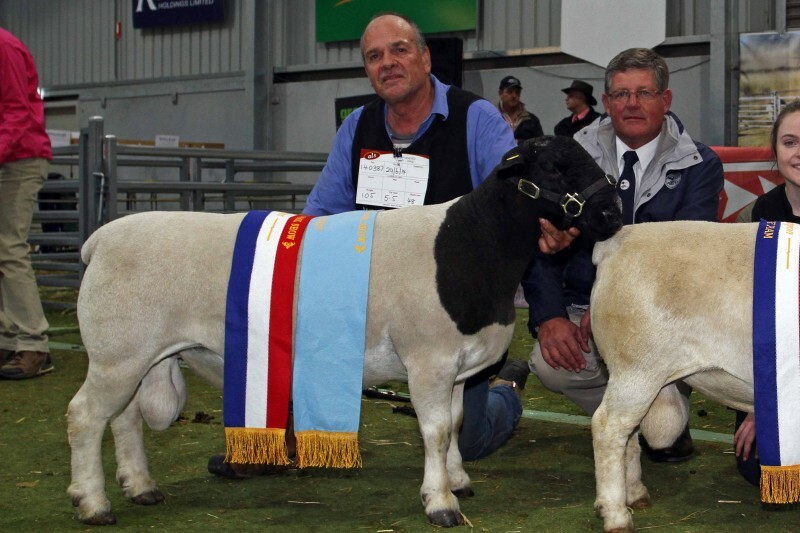 Sire 110919 was Grand Champion Ram in 2013 Australian National Show.